I've been writing print collateral for more than 20 years. Whatever your budget, I subcontract with a number of good, professional graphic designers and can work with you on the messaging side. Or, I can present you with a variety of affordable, well-designed templates and simply do the content, saving you money in the process. Appropriate for designing and working with DIY templates or for open-ended projects. 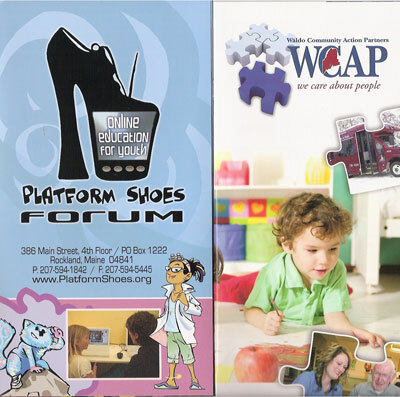 In both of these brochures, Platform Shoes Forum needed a clear definition of their services that also appealed to funders, whereas Waldo Community Action Partners, a social services nonprofit, needed a complete overhaul of their old brochure content to appeal to their customer base. 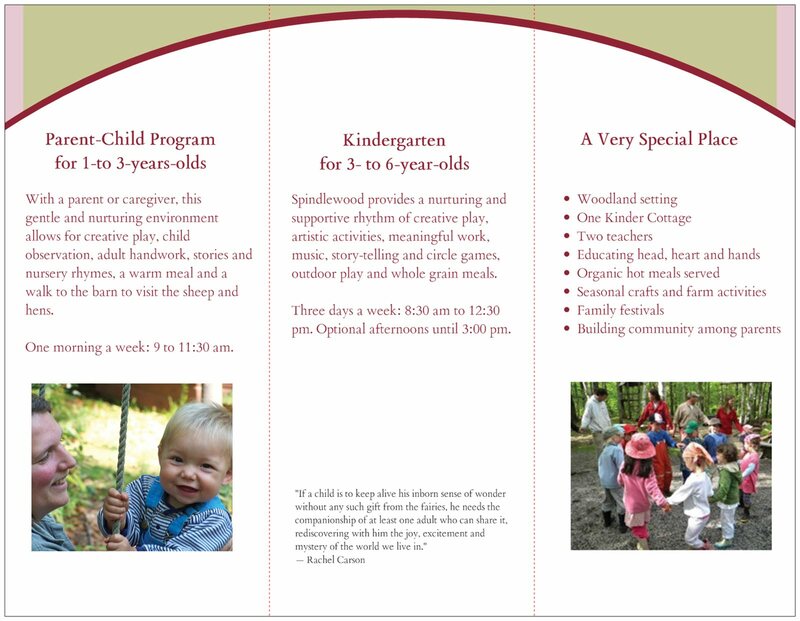 Using a template: And here's another example of a small business that needed an affordable brochure. See the inside panels. 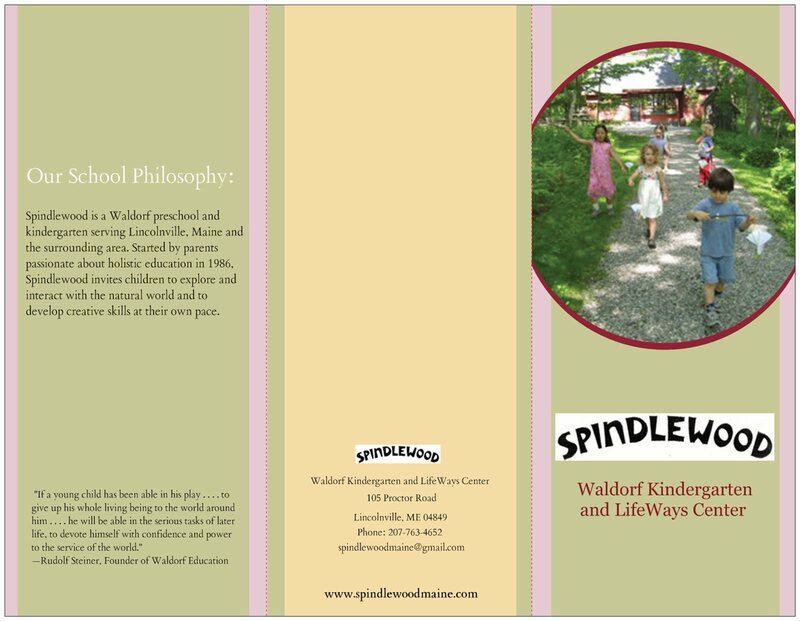 Spindlewood Waldorf Kindergarten and LifeWays Center wanted something that looked good, was affordable and presented clear, concise messaging for their prospective enrollments.